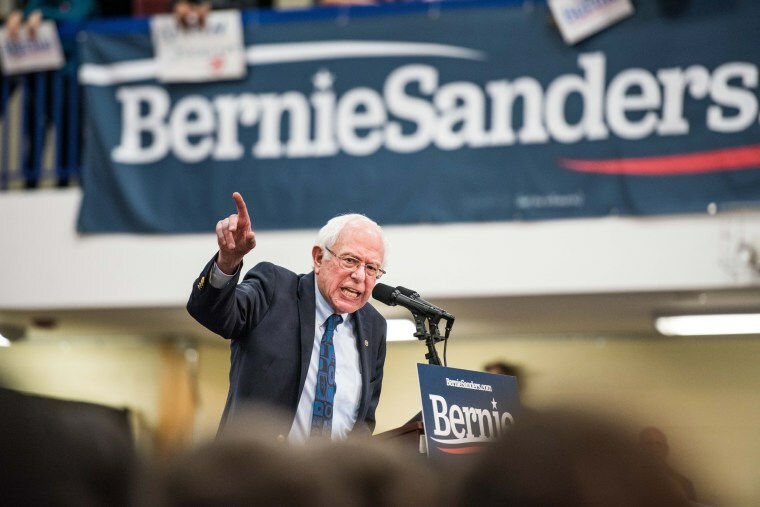 Sanders didn't attend the 2016 conference while he was running in the Democratic presidential primary, but addressed the Israeli-Palestinian conflict at length during a speech around the time of the event. The candidates' decisions to skip the prominent pro-Israel lobbying group’s conference come one day after liberal group MoveOn.org called on all 2020 presidential candidates to steer clear of the event. AIPAC spokesman Marshall Whittmann said the "focus for the conference has always been Congress." "We are proud that the bipartisan leadership of the House and the Senate will be speaking," Whittmann told NBC News. Headliners at this year’s conference, which will kick off Sunday, include Israeli Prime Minister Benjamin Netanyahu and a number of prominent Democrats, such as House Speaker Nancy Pelosi, D-Calif., and Senate Minority Leader Chuck Schumer, D-N.Y.
AIPAC has been at the center of headlines about the Democratic Party in recent weeks, after Rep. Ilhan Omar, D-Minn., tweeted several controversial claims about Israel, including the claim that AIPAC was paying politicians to support Israel. She was accused by some lawmakers and prominent Jewish groups of anti-Semitism and playing on toxic anti-Jewish stereotypes. Omar later apologized after her comments were denounced by House Democratic leaders as "anti-Semitic tropes." Melissa Holzberg is a researcher at Meet the Press. Garrett Haake and Associated Press contributed.